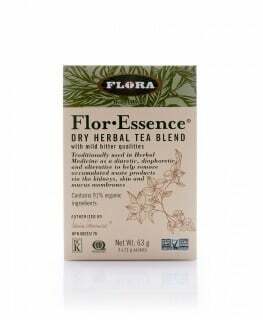 Flora Flor-Essence Herbal Tea Blend is a synergistic blend of 7 powerful certified organic herbal ingredients that includes burdock root, sheep sorrel, slippery elm bark, blessed thistle, watercress, red clover flower and rhubarb root. They act as diuretic, diaphoretic and alternative to help remove accumulated waste products via the kidneys, skin and mucous membranes. Adult: Shake bottle well before use. 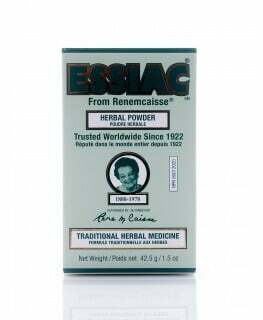 Take 3 tablespoons 3 times daily. Dilute with an equal amount of hot water, sip slowly. Preferably take ½ an hour before breakfast and lunch, and on an empty stomach before bed. Cautions: For occasional use only. Do not use if you: 1) are pregnant or breastfeeding 2) are allergic to plants of the Asteraceae/Compositae/Daisy/Polygonaceae/Brassicacease family 3) are taking products containing diuretics 4) have heart disease, high or low blood pressure, kidney or liver disorder, diabetes or edema (swelling of hands, face and feet). 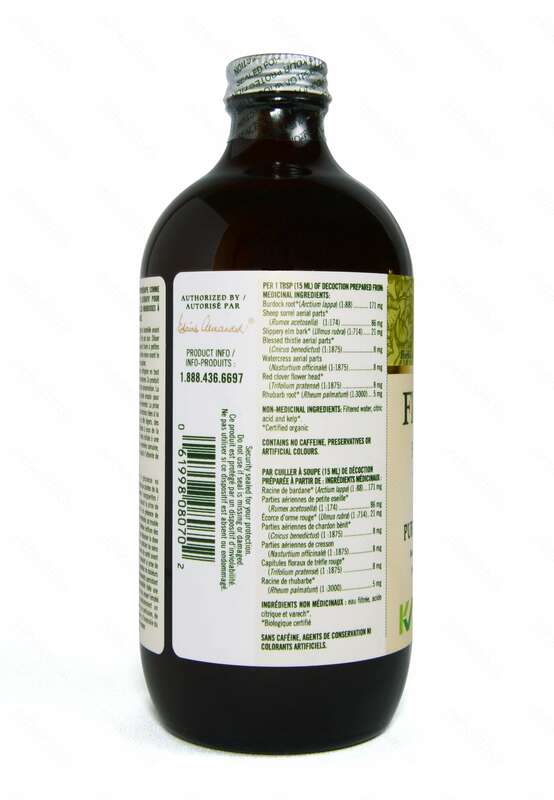 Do not exceed the recommended dose unless suggested by a health care practitioner. 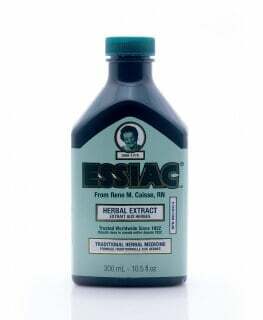 Consult a health care practitioner prior to use if you have a medical condition or if you are taking any medications. 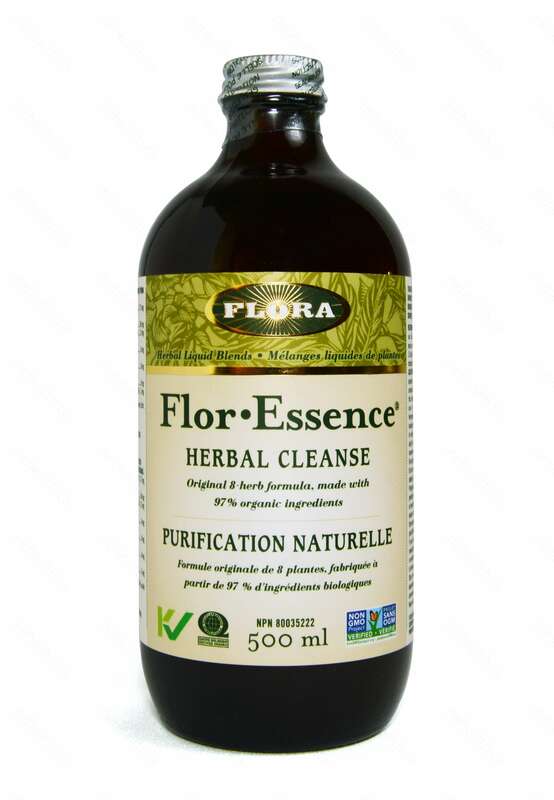 Detoxification reactions include mild headaches, nausea, and flu like symptoms may occur. In which case, reduce initial dose to one tablespoon daily for the first week and gradually increase to the recommended dosage thereafter. 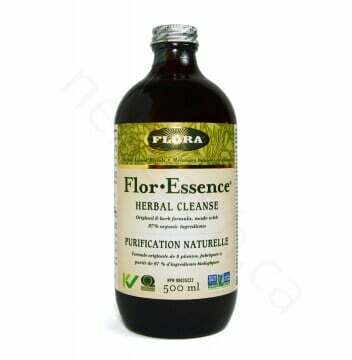 Discontinue use if abdominal pain, diarrhea or vomiting occurs for over 3 days. Keep refrigerated at all times after opening and consume within 3 weeks. This product contains neither alcohol nor preservatives. Therefore, this bottle must be returned to the refrigerator after use to preserve the product and prevent its fermentation. Hypersensitivity/allergy is known to occur, in which case discontinue use.